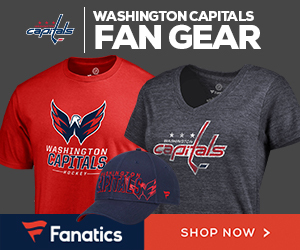 The Washington Capitals have announced they have loaned forward prospect Axel Jonsson-Fjallby to Djurgardens IF of the Swedish Hockey League (SHL). Jonsson-Fjallby, 20, was in his first professional season in North America. There were rumors weeks ago that he returned to his native Sweden, only for that to be shot down quickly. Now, it appears those rumors were just early. Jonsson-Fjallby had three points, two goal and an assist, in 15 games for the Hershey Bears this season. His play drew the attention of head coach Spencer Carbery. “Hockey-wise, just the way the game is played [is different],” Jonsson-Fjallby said about adjusting in mid-October. “The rinks. How they want us to play. It’s different. Aside from hockey, it’s different too.” He also said things like going to the store are hard because he doesn’t know the brands. “We are obviously disappointed, but it was Axel’s contractual right,” a Bears spokesperson told Capitals Outsider. Jonsson-Fjallby recorded 16 points (7g, 9a) in 42 regular season games and eight points (6g, 2a) in 11 playoff games with Djurgårdens IF during the 2017-2018 season.